It’s important to stay mindful of how much protein you’re eating daily. Proteins are the basic building blocks of our bodies and are used to build muscles, tendons and organs, repair tissue, regulate hormone production and even produce the neurotransmitters that modulate our moods. 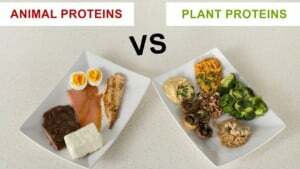 Life as we know it wouldn’t be possible without proteins, and if you’re not getting enough, your health will quickly suffer. This is why peanut butter can seem like a miracle food. At 4 grams of protein per tablespoon, just a few PB&J sandwiches can get you to a full day’s worth of protein. But with fat accounting for half of its volume, many people have begun to search for healthier alternatives. Here we explore 5 unexpected plant-based foods that can meet or exceed the protein levels of peanut butter. These tiny little orbs are among the healthiest food on the planet. A 1-ounce serving (about 2 tablespoons) will give you over 4 grams of protein, along with 11 grams of fiber and 5 grams of alpha-linoleic acid (ALA) and linoleic acid, plant-based Omega fatty acids. This superfood was domesticated in the Mexican valley as early as 2,700 B.C. and was prized for its energizing properties by the Aztec, Mayan and Incan people. Just a single spoonful of chia seeds in water was used to provide the nutrition needed for a long day of hard labor. This food was considered so valuable that it was even used as currency by these native peoples. These seeds are also loaded with antioxidants and have well-balanced levels of essential amino acids, making them a source of complete protein that our body can easily use. Best of all, they don’t require complex preparation, or even cooking! Simply blend some in with your smoothies or put some right on top of your yogurt. You can even just pour chia seeds into a cup of water or juice, allow them to soak up the liquid and drink up the gelatinous, nutrient-rich mix. At close to 7 grams of protein per a 2-tablespoon serving, almond butter is a serious contender for a top healthy, protein-rich food. Although it is also a high-fat food, it only contains about half of the amount of saturated fat that peanut butter does. Saturated fat is one of the unhealthy, artery-clogging fats that can lead to high cholesterol and weight gain. Almond butter also has higher levels of fiber, vitamins and minerals than peanut butter. Almonds and almond butter provide large amounts of vitamin E, great for your skin and hair, and 61% of your recommended daily dose of magnesium, an important mineral that plays a role in our metabolism and keeps our bones and heart healthy. It’s also full of calcium, niacin, folate, riboflavin and Omega-3s. Almonds are also great for our brains and may be of particular benefit for the elderly. An animal study found that regular consumption of almonds leads to a boost in memory in healthy rats as well as lower rates of cognitive dysfunction and neurodegenerative disorders. This ancient grain originated in the Andes mountains of South America close to 4,000 years ago and fed the burgeoning Incan empire for hundreds of years. They considered it to be sacred and held it in such high regard that they dubbed it chisoya mama, or mother of all grains. Although the Spanish conquistadors tried to eradicate this incredible crop in their attempt to wipe out native culture, it found a way to survive and now helps to feed billions of people around the world. At 8 grams of protein per 1 cup serving, this plant-protein heavy-weight is a superfood in its own right. It provides all 9 essential amino acids that our bodies require for a balanced diet. It is also naturally gluten-free and is a perfect rice replacement for people with gluten intolerances. In fact, with twice the amount of protein as rice, quinoa should be part of everyone’s diet. Quinoa is also vitamin and mineral rich, containing high levels of manganese, folate, phosphorus, magnesium and vitamin B1. 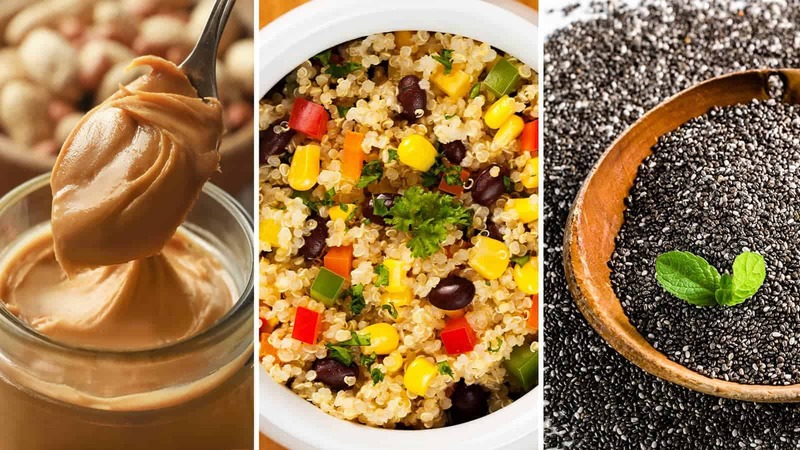 There are even more than 120 varieties of quinoa for you to try, so don’t give up on this awesome protein source if you tried it at the health food store that one time and didn’t like it. Its flavor can vary immensely depending on how it’s prepared, and it can be cooked in different ways for breakfast, lunch and dinner. At 9 grams of protein per half cup serving, these nutrient-dense legumes pack quite a protein punch. They are low in calories and high in fiber, and are very versatile. Cook them whole and pair them with rice or another grain for a complete protein meal, turn them into a delicious lentil burger or whip them up into a protein-rich dip. Any way you choose to eat them, you’ll be getting a hefty dose of protein along with other important micronutrients your body needs. Lentils come in multiple colors, such as red, brown, green and yellow, and each variety has its own unique composition of antioxidants and phytochemicals. At 25% protein by volume, they’re an inexpensive way of getting the high levels of nutrition our bodies need to function. They’re a great source of B vitamins, magnesium, zinc and potassium. They also provide 37% of the recommended daily dose of iron, an important mineral that’s often lacking in vegetarian diets. These legumes are also high in fiber and low in fat, ensuring that your heart health won’t suffer when you enjoy this versatile protein source. Lentils have even been shown to exhibit cardioprotective effects when eaten as part of a regular diet. One study even showed that eating a third of a cup of lentils for 8 weeks decreased “bad” LDL cholesterol and increased “good” HDL cholesterol in 48 overweight or obese participants with type 2 Diabetes. This is just the tip of the iceberg when it comes to lentils and their health benefits. If you’re looking for a low-fat, high-protein food that will keep you healthy for many years to come, make sure you don’t forget about this humble, yet powerful plant. With over 10 grams of complete protein per 2 tablespoon serving, hemp seeds top our list as natures top plant-based protein source. This superfood provides all 9 necessary amino acids and is exceptionally rich in Omega fatty acids. By weight, hemp seeds provide similar amounts of protein as beef and lamb. They are also highly digestible, more so than many grains, nuts and legumes. This means that our bodies are easily able to extract and use their nutrients. Hemp seeds contain high levels of vitamins and minerals, including vitamin E, phosphorus, potassium, magnesium, sulfur, calcium, iron and zinc. And unlike what you may have heard, you won’t get high from eating this cannabis product. Hemp seeds have been used as food or medicine for over 3,000 because of their high utility. They can be eaten raw, roasted, pressed for their oil and even powdered into a fine meal. Not only are they a great source of protein, but research has shown that the compounds in hemp seeds can reduce blood pressure, decrease the risk of developing blood clots and can even help a heart bounce back after a heart attack. If you haven’t already, be sure to include hemp seeds in your daily diet for a protein-rich and nutrient-dense alternative to peanut butter and meat-based proteins. Protein is crucial for the development of a healthy body and protein deficiency can lead to a host of health issues ranging from mood changes and fluid retention to more serious conditions such as stunted growth in children, muscle wasting and liver disease. That’s why it’s important to ensure you’re getting the right amount of protein for your needs. The Recommended Dietary Allowance (RDA) for protein is roughly 0.36 gram per pound of body weight for a sedentary person. This is considered the minimum amount of protein you should be eating daily, and it’s best if you can get it from a variety of sources and space your consumption out throughout the day for best absorption. People can even eat up to two times their RDA and still stay within healthy protein levels. In fact, higher protein intake can help preserve muscle mass, even in old age. You can use this online protein calculator for a more customized daily protein requirement analysis. In moderation, peanut butter can make a great and delicious addition to any diet. Especially if you opt out of getting highly-processed peanut butter with added sugars, salt and other chemicals, it truly isn’t that bad. If you really want to do what’s best for your body though, you’ll feed it a varied diet with multiple protein and nutrient sources, including the foods on this list. While these 5 protein-rich foods are far from exhaustive, they’re a great starting place on what can be a lifelong adventure in eating a healthy, plant-based and varied diet that can help heal your body and mind. By ensuring you’re getting all the protein you need and cutting back on animal-based high-fat sources, you can keep your body healthy and strong into your golden years.